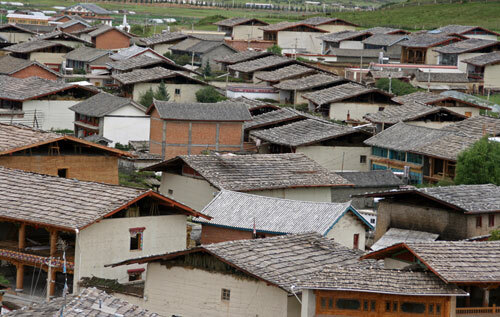 When we visited in 2007 we found an old wooden town (surrounded by a drab new town) that had been well-restored with a low key and laid back feel. 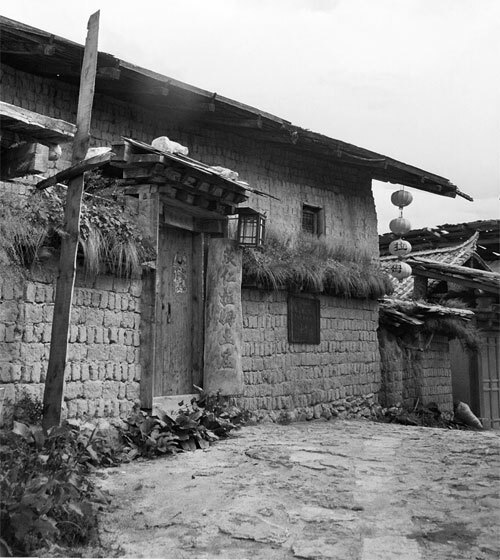 There were some wonderful old Tibetan mansions around town as well as some nice bars and cafes in the old buildings. 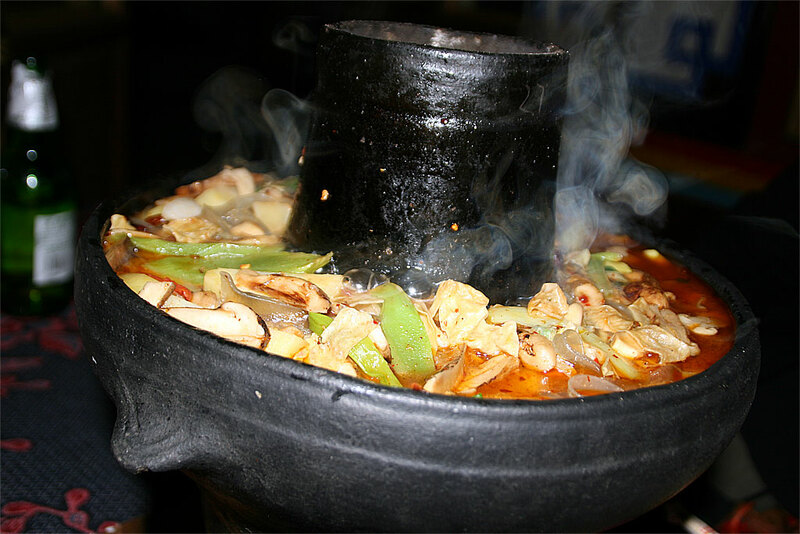 We especially remember the wild mushroom hot-pot and the Tibetan run wine bar that sold locally produced wine and Yak Cheese. There also used to be an amazing mushroom and fungi market at the entrance to the old town. 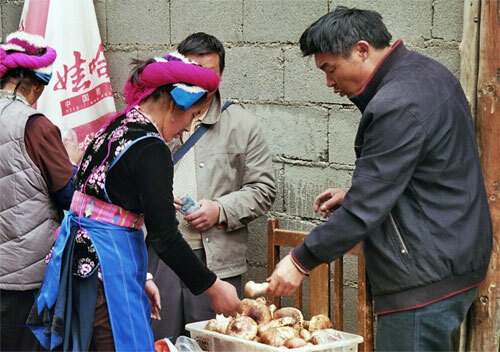 Tibetan ladies from the surrounding villages would come to sell the most incredible mushrooms we’ve ever seen. What was bought and sold here for a few yuan, would fetch astronomical prices in the restaurants of Tokio and Shanghai. In the evening locals would gather in the main square to sing and dance. 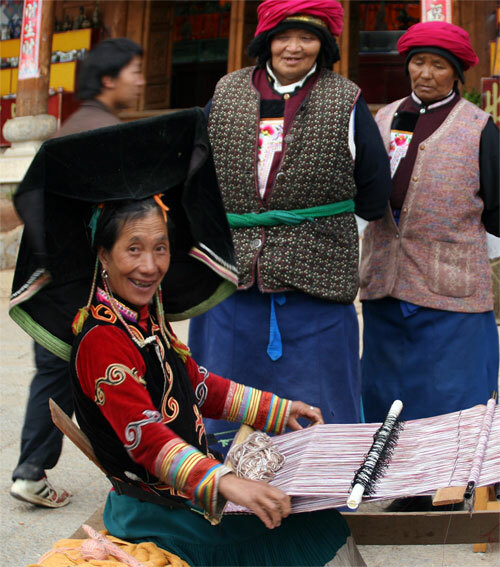 Yi ladies, wearing their enormous flat hats, would try to peddle hand-made woollen shawls. 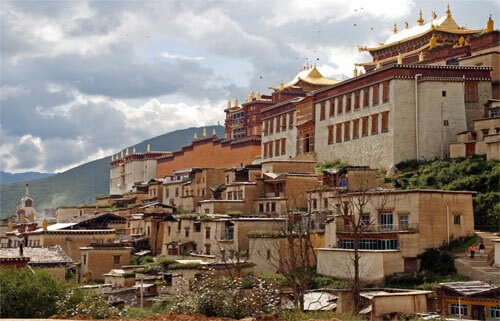 Apart from the Han Chinese, who mainly lived in the new town, there was a heady mix of Tibetans, Yi, Lisu and Naxi ethnic groups that provided the old town with a dash of quaintness and exoticism. It is difficult to believe that none of this exists now. 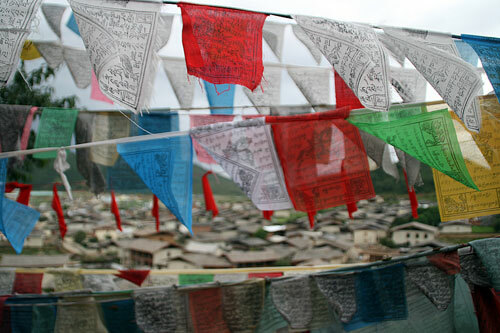 And even though, thankfully, nobody seems to have died, many people will have lost their homes and livelihoods. 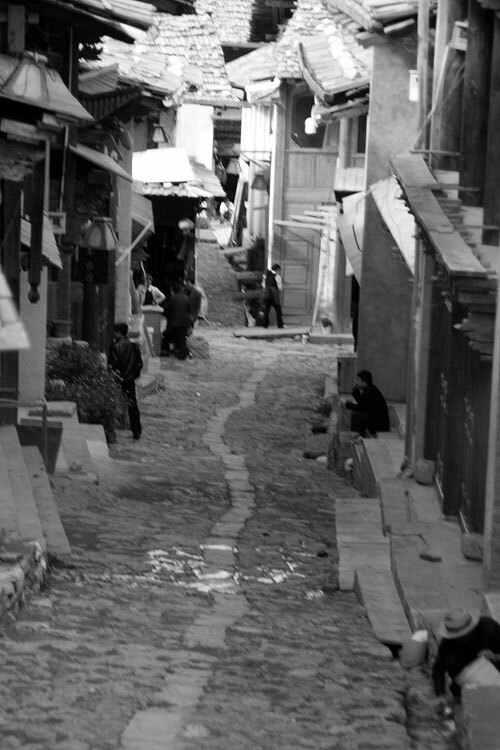 I’m sure the old town will be rebuilt, but it will be near impossible to reproduce the ambience of those age old streets.